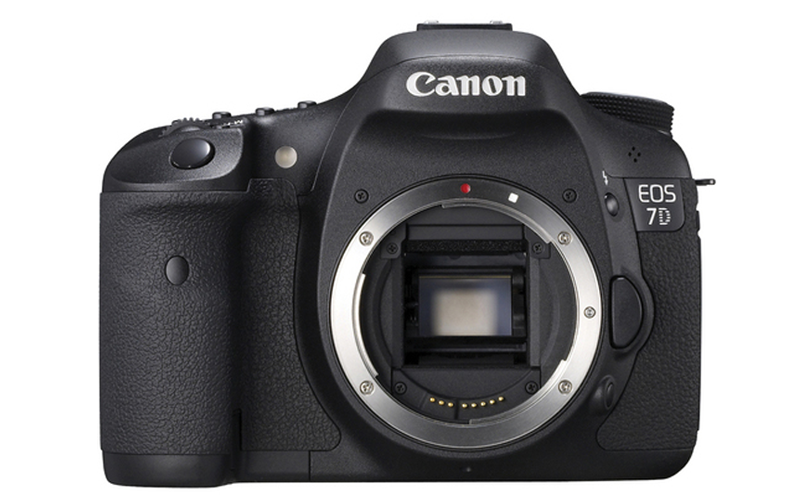 The EOS 7D features an 18.0 Megapixel APS-C size CMOS sensor and Dual DIGIC 4 Image Processors. The EOS 7D captures Full HD video at 30p (29.97 fps), 24p (23.976 fps) and 25p with an array of manual controls, including manual exposure during movie shooting and ISO speed selection. The EOS 7D features a magnesium alloy body that is dust- and weather-resistant and shutter durability of up to 150,000 cycles.